This is the version of Grovers Music Maker that Best Electronics sold for many years. Even though it is dated earlier than the 1-18-83 version, it has two more tunes (letters S and T). 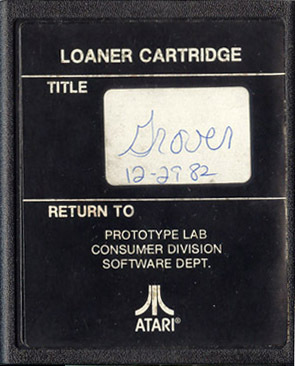 Why these were removed from the later version is unknown, but Atari may have taken them out because the tunes weren't working out (to this day no one knows what they are). Dance for me you puppet! Grover gonna make ya... Jump! Jump!